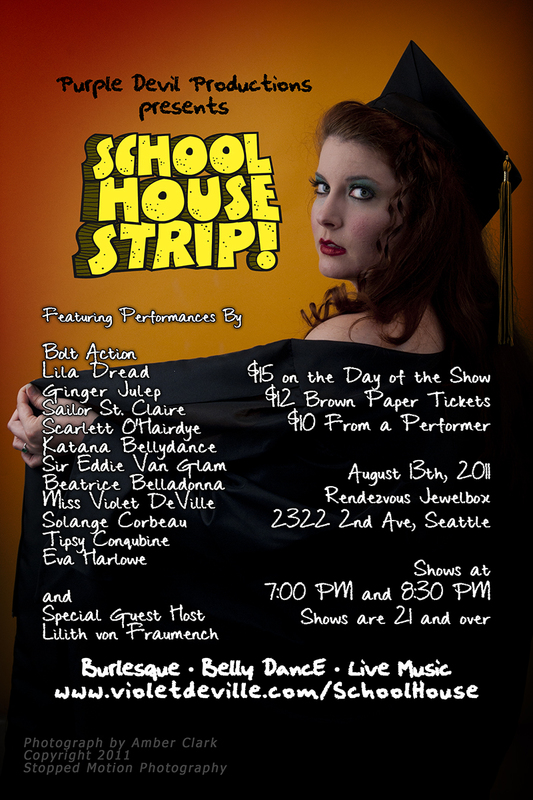 School House Strip is just a week away! On Saturday, August 13th, Purple Devil Productions proudly presents and evening in tribute to the endless days of recess, goofing around, and learning. In short, we're taking on all the best parts of your education or the education you wanted to have because class is in session! 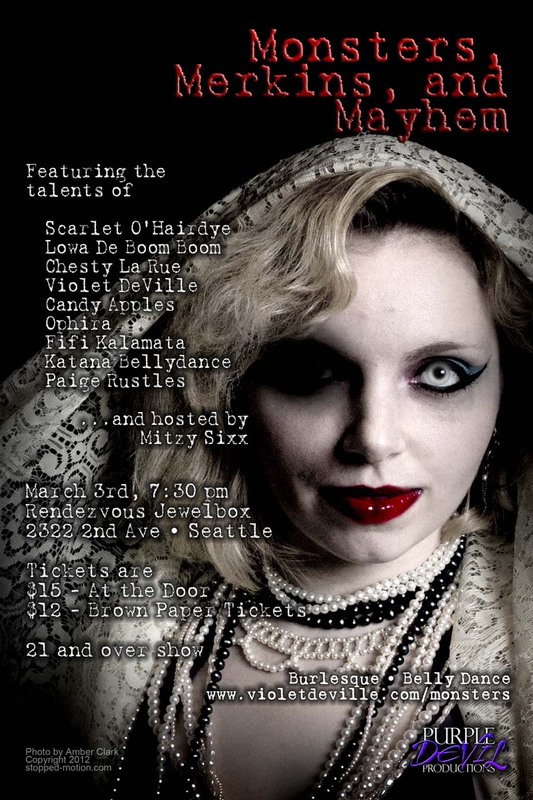 Bolt Action, Lila Dread, Ginger Julep, Sailor St. Claire, Scarlett O'Hairdye, Katana Bellydance, Sir Eddie Van Glam, Beatrice Belladonna, Miss Violet DeVille, Solange Corbeau, Tipsy Conqubine, and Eva Harlowe.